The mission of the Becker County Sheriff Office is to provide the highest level of Public Safety to all citizens regardless of status. This includes all the Minnesota Statutory requirements bestowed upon us and to continue to strive to remain within financial boundaries. 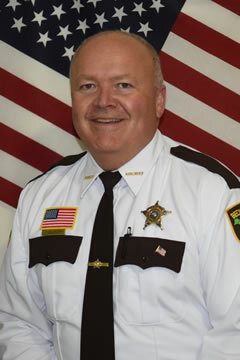 The Sheriff of Becker County is an elected official. The Sheriff is the chief law enforcement officer of the entire County. The Sheriff or his deputies respond to all crime calls in the county; serves civil process papers involving civil disputes, litigation, and family court; serves and executes arrest warrants and search warrants and transports prisoners. The Sheriff's Office also has a Boat and Water Department that inspects boats of area resorts for current registration and safety violations, patrols area lakes during the summer months and issues swim raft permits for special events held on area lakes. The Boat and Water Department also heads up all search and rescue operations on the lakes, such as drownings, assisted by the Becker County Dive Rescue Team. The Sheriff's Office also has a Sheriff's Auxiliary which consists of members that are trained and licensed by the POST Board that assist the Sheriff's Office and other law enforcement agencies within Becker County. The Becker County Jail holds 48 inmates, either convicted or awaiting trial. Convicted inmates may be held in the jail up to one year. Inmates from the City of Detroit Lakes and/or surrounding towns located in Becker County are housed at the jail. The Jail has many alternatives to jail confinement. STS (Sentencing to Service) allows the inmates to work at a community service job while staying at the residence at nights. Community service allows defendants to work off fines doing community service in lieu of jail time. Work Release allows prisoners to work out of the jail in community based jobs. The Huber Act allows inmates to go to their private jobs during the day and report back to jail at night. The Dispatch/Communications section of the Becker County Sheriff's Office takes all incoming calls, answers 911 lines from Detroit Lakes, Lake Park, Frazee, Callaway, Ogema, White Earth, Richwood, Osage, Two Inlets, and Pine Point. The Sheriff's Office is also responsible for dispatching the volunteer fire departments from the aforementioned towns. They also dispatch the Detroit Lakes Police Department, Essentia-St. Mary's EMS, First Responders, Game Wardens and other area police departments.